The Tree Service Leaders in Vista, CA! For topnotch tree care services in the Vista, CA area, look to Escondido’s Best Tree Service. We are the leader for tree care services for residential and commercial properties, such as tree removal and stump grinding. To have the healthiest trees, we recommend getting regular maintenance. As your Vista tree care service provider, we can do anything you ask for your trees and yard. In addition to removing trees, we can fertilize and trim them, as well as your hedges and shrubs. 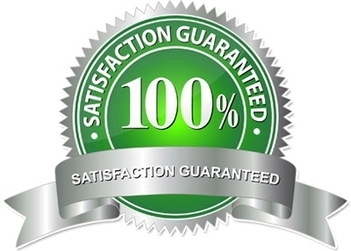 We stand behind our professional tree care service with a 100% customer satisfaction guarantee. If there is ever a problem with our tree services, we will come back and fix it. We do not consider your tree care job complete until you tell us you are completely satisfied. The point of our tree service is to please you in everything we do for you. We strive for honesty and overall excellence in how we work and the results of our work. We have been in the tree care business for many years, and it is important for us to understand the functional needs of trees and yards. Our Vista tree contractors possess many years of experience in tree care. We take pride in the great work that we do, and it is evident in the long list of repeat customers and referrals. We know that a well-maintained outdoor environment hinges on paying attention to every detail. Our crew is trained to notice needs your trees may have when they visit to provide you with tree service. We will make recommendations to you to ensure that your trees receive the proper care it deserves. We are the first name in tree care in Escondido, CA and the surrounding areas. For years, we have specialized in commercial and residential tree and yard services. We are the master gardeners in the Vista, CA community, and we are committed on staying on the cutting edge of technology to ensure that we are providing the best completed project possible. We are devoted to our customers, and we take pride in our work. We are focused on creating a new way of tree care that is practical for today and sustainable for tomorrow. Our objective is to make as little impact as possible on the environment, while making a big impact on the look of your property. We are a local business, we know what it takes to create and upkeep diverse outdoor areas in our unique climate. All our design and consultation work is done through our experienced arborists. During the seasons, we will work to identify and anticipate any changes needed to be made to your tree care regimen. Because we take the time to know you and your trees, we know what you want and expect when it comes to tree service and the exterior care of your commercial or residential property. To turn your dry and unhealthy trees into ones that are green and vibrant, get in touch with Escondido’s Best Tree Service!